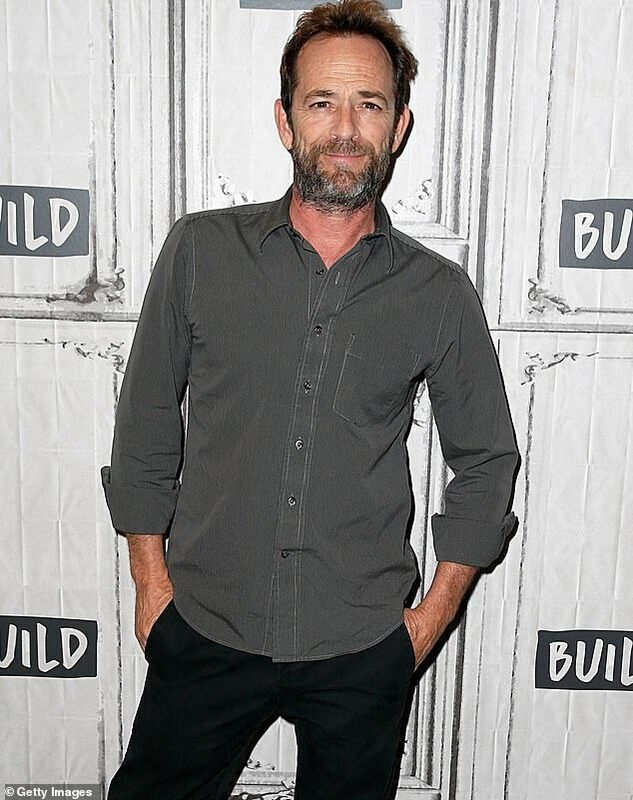 Luke Perry’s Beverly Hills, 90210 castmates have led the stars taking to social media to lend their support amid news that the 52-year-old actor was hospitalized after suffering a stroke at his Los Angeles home. Doherty, 47, shared a cute snap from the series of Perry hugging her from behind. The outpouring of love and support on social media comes shortly after paramedics responded to an emergency call from Perry’s home in Sherman Oaks at 9.40am on Wednesday. His representative told DailyMail.com on Thursday: ‘Mr. Perry is currently under observation at the hospital,’ but they would not share any further details. As news of his health scare spread on Thursday, some of the cast paid tribute to him. 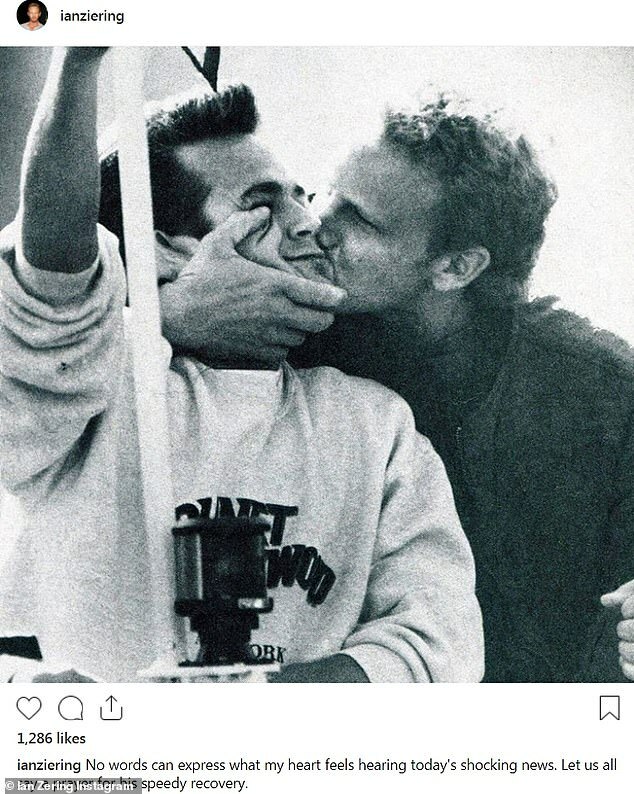 Shannen Doherty, who played his on-screen girlfriend, shared a photograph of the two together in the 1990s without a caption. On Wednesday, the same day of his stroke, which was first reported by TMZ, Fox announced it would be rebooting the 90s classic with some of the original cast but it is not known if Perry was in talks to appear in it. He also appeared in the 1992 film Buffy the Vampire Slayer and the 1994 film 8 Seconds. 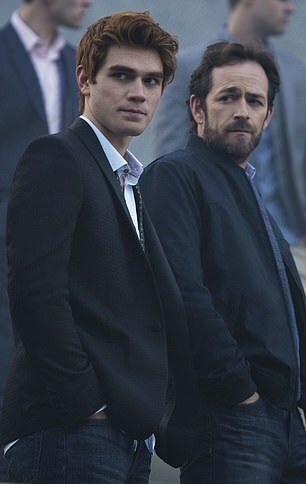 Perry shot to fame as Dylan McKay on Beverly Hills 90210 in the 90s. He has gone on to appear in dozens of shows and films and is one of the most prolific TV actors in Hollywood. He has two children with his ex-wife Rachel Sharp. The pair were married between 1993 and 2003. Since then, he has not had any serious relationships that have been made public. 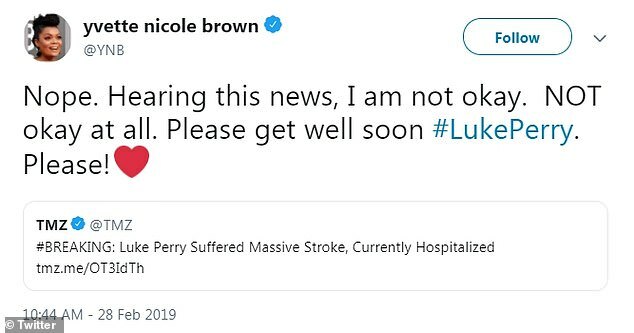 It is not clear who was home with Perry, if anyone, when he suffered his stroke. The actor’s children are 21 and 18. In 2015, the actor had a cancer scare when doctors found pre-cancerous cells on his colon. They were removed and Perry adapted his diet and lifestyle afterwards to reduce his chances of it returning. ‘I have significantly cut down on the amount of red meat I eat. The cast of Riverdale is currently filming the show’s fourth season in Vancouver while the remainder of the third series is aired on CW. It is not clear what Perry’s filming schedule is. A spokesman for CW declined to comment when contacted by DailyMail.com on Thursday. Fox announced on Wednesday that it had ordered a revival of Beverly Hills 90210 and that some of the major characters from the original series had signed on. 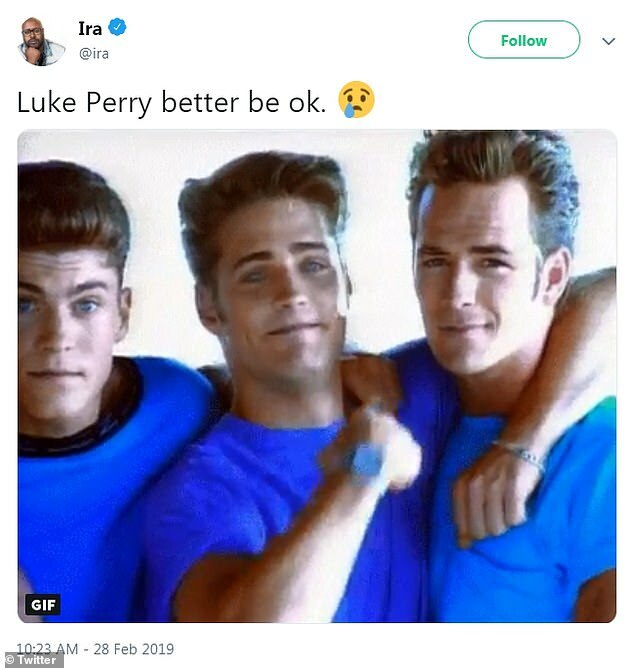 Jason Priestley, Jennie Garth, Ian Ziering, Gabrielle Carteris, Brian Austin Green and Tori Spelling all agreed to take part but it is not clear of Perry was in discussions for it.